The new VAT rrp on these is £31.95(old VAT £32.50) I'am selling these @ £29.00 each. I'am also offering free delivery to members in the Bristol area(by yours truly)I can post though this is not recomended due to the jars bieng glass. Though every effort will be made on my part to package these jars I can not guarantee the intergrity and a small charge of £3pp would apply. 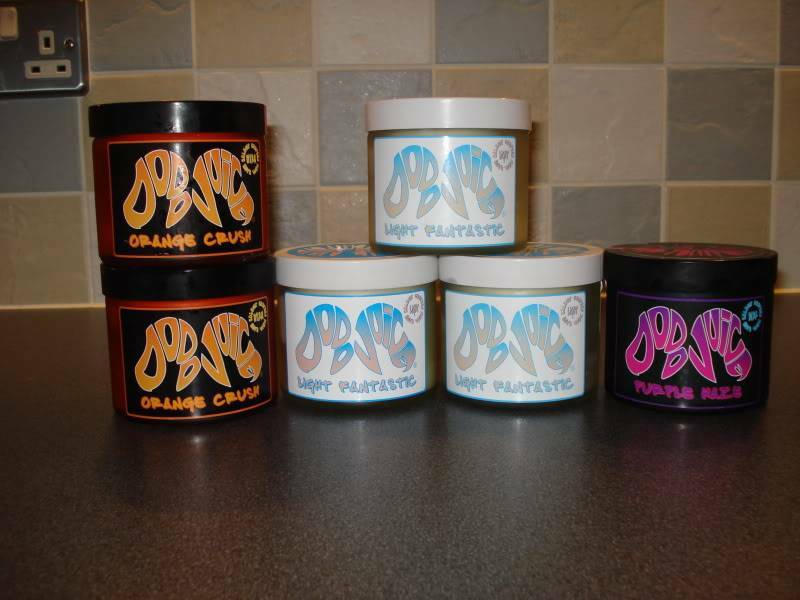 1 x Purple Haze soft wax for the dark coloured cars. If you would like any of these please drop me a line (info@waxpoetic.co.uk) or 07976 008913.